Husband gave me this AMAZING drafting/sewing table for Christmas. It’s perfect. A large area for the sewing machine and it’s bar-height so little fingers stay away from sharp objects. And the desktop tilts so I can use it for drawing and painting when I get around to it. 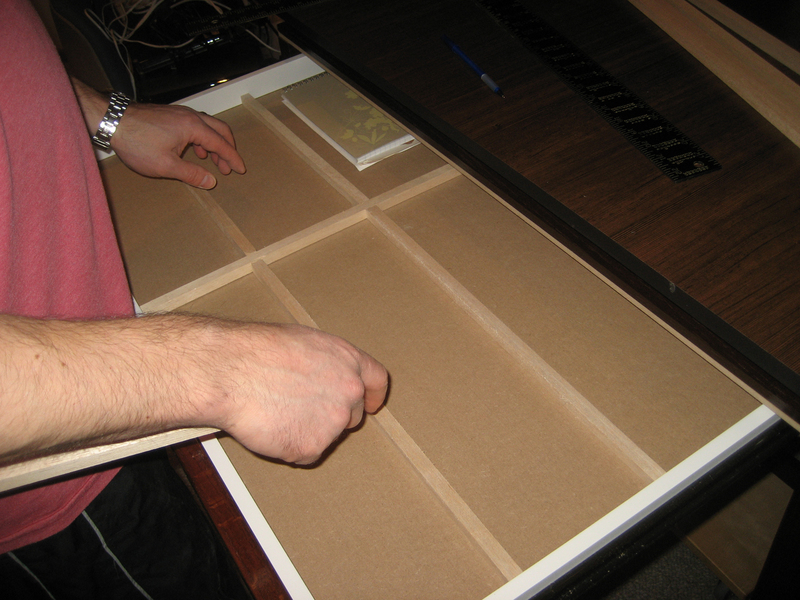 It also has an amazing drawer the whole width of the table, but it’s really shallow. Just about an inch deep. That helps with the leg room (which at 6 feet I need a lot of), but little for storage. I took a quick look online and found no drawer organizers less than 2 inches high. So husband came up with this amazing solution. He ran over to Michaels on his lunch hour and picked up 1/2 inch balsa wood strips and some gorilla glue. I love what he did with them. 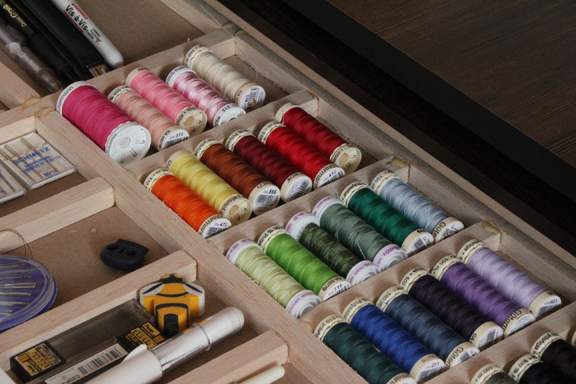 I have compartments for thread and needles and pretty much everything I could need. awesome solution! he sure is handy. Great idea! 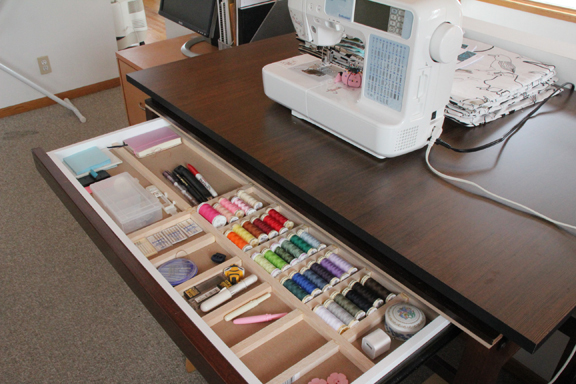 Maybe, I can talk my hubby into doing this for my sewing room drawers! What a great table and husband! This is awesome, beyond awesome! I have to say that table is quite amazing & I agree the Mr. rocks! Nice job Marc. Just think of how much more productive you can be with that organized work space.